S0712. 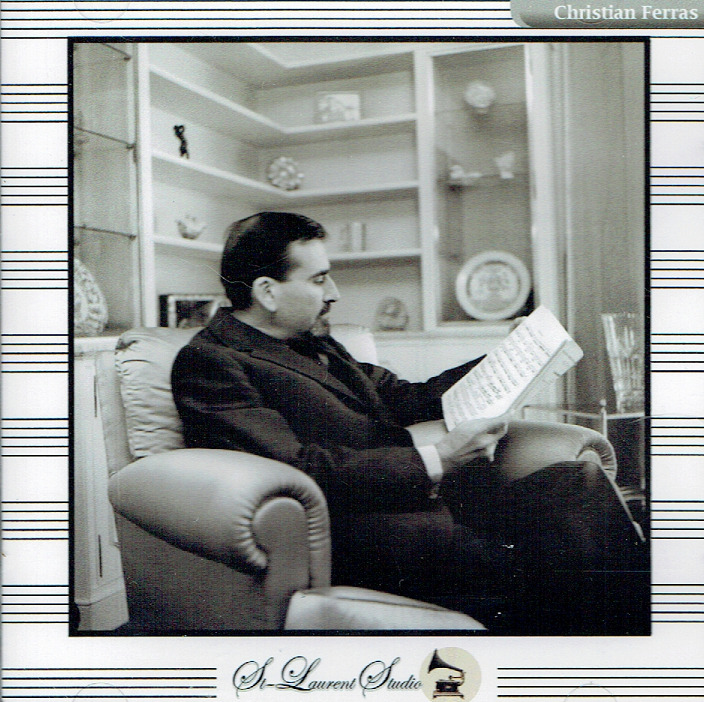 CHRISTIAN FERRAS, w. Eugen Jochum Cond. RTF S.O. 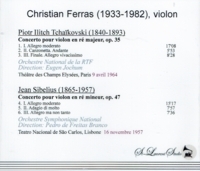 : Violin Concerto in D (Tschaikowsky), Live Performance, 9 April, 1964, Paris; w. Pedro de Freitas Branco Cond. National S.O. : Violin Concerto in d (Sibelius), Live Performance, 16 Nov., 1957, Lisbon. (Canada) St Laurent Studio YSL T-606. [A remarkably beautiful performance of the Tschaikowsky Concerto by this beautiful, currently neglected artist.] Transfers by Yves St Laurent. 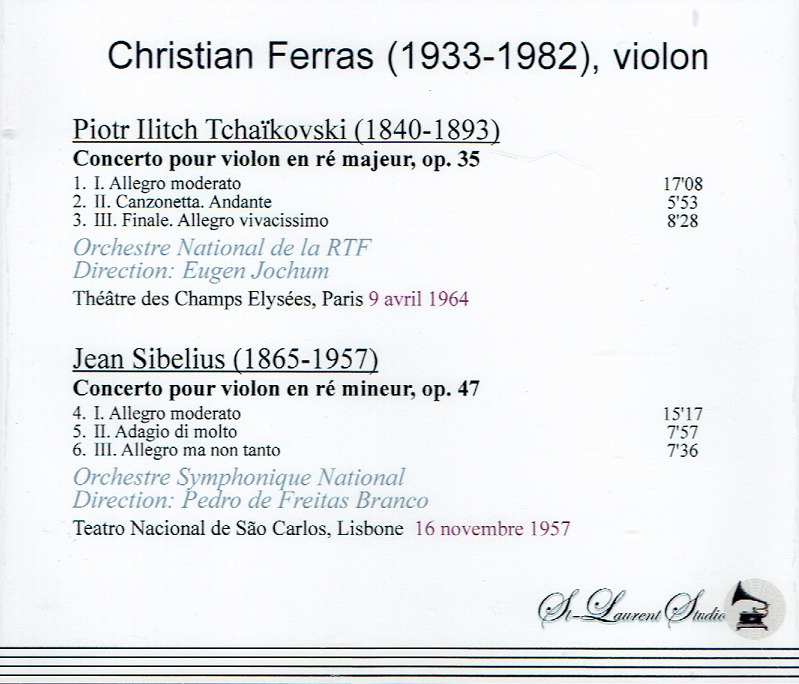 “Christian Ferras was a French violinist who, at the age of 10, won the first prize of the Nice Conservatory and won the first prize of the Paris Conservatory in 1946, where he studied with Rene Benedetti and Joseph Calvet. He started an international career with leading orchestras and conductors, notably recording the romantic concertos of Beethoven, Tchaikovsky, Sibelius and others with Herbert von Karajan. Since the recent retirement of Zino Francescatti, he was considered France's leading concert violinist.